This was first and above all a school trip. The kind where you get to know people on an intimate level but after the trip is over, that’s it. Most of the people you met have been removed to acquaintances you periodically peek at in your Facebook news-feed, but a few stick around. I am writing this to celebrate them, the honored few. Recalling the drive down from Dayton, Ohio to New Smyrna Beach, Florida is a bitter-sweet thought. The company on this trip was exceptional, all the members of the spring-breaker trip were “yes” people. They were always up for anything and everything. On that 900 mile trip south we grew to know each other rather well. Nicknames were given, scars were earned. We all got to practice our car yoga while on that trek. When we arrived into town, like good college students, we started our day with some Waffle House, cheap, greasy, and oh so delicious. With bellies full and moral lifted we pitched camp and did our darndest to stay on the beach for the better part of the week. 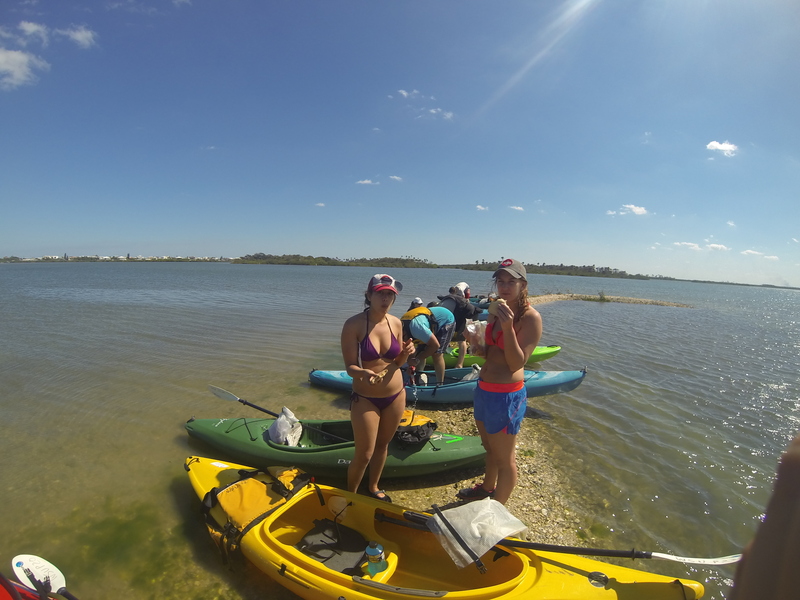 Sun bathing, kayaking, surf lessons and a few random field trips to hike or watch manatees in between. I always seem to forget the power of the campfire as a bonding agent for a seemingly random group. To give you an idea; there was the couple of adventure junkies (no exaggeration, I will be writing about their cross-country trek one of these days); the stoner on withdrawal (no drugs on the trip! ); the curious Arab exchange student; a ukulele toting, well-educated redneck; a cliché suburbanite who loves to volunteer; the runt of the group, a young explorer in her own right; our guide, a seasoned hiker, master of all things nature; and yours truly, Hispanic adventurer in training. Everyone came from very different backgrounds, and I think that was one great advantage. They all had a story to tell of family, love, adventure and passion. I learned a few lessons on this trip. 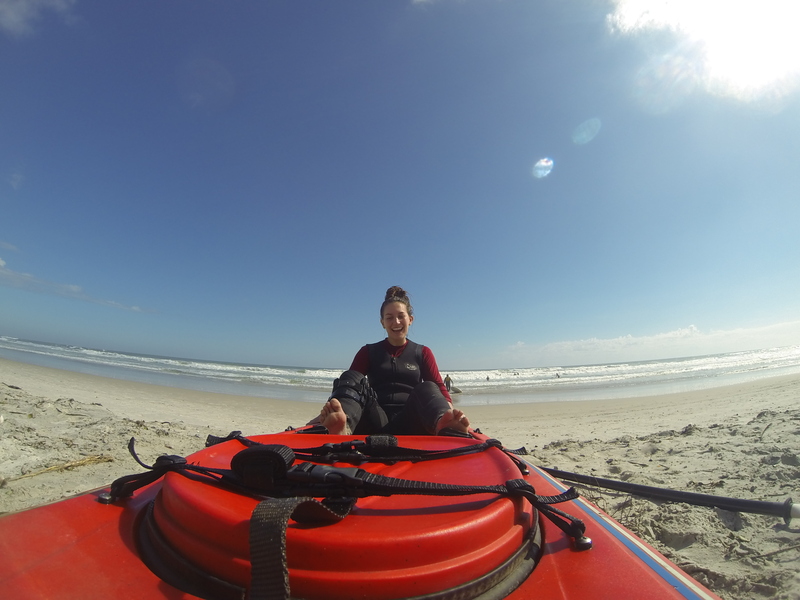 The one that stuck the most in my head was don’t kayak in 6 foot waves when you are rusty. I was bested by the ocean the first day. My pride wounded, I liked my wounds and tried in calmer waters in a natural bay and mangrove forest. The ukulele and some beat-boxing make for fun campfire music. I feel an album coming along. Florida Raccoons are scary beasts resembling gone crazed bears. They raided our camp multiple times even after defensive precautions were taken (we stored all of our food in the van). The lesson here was bring a spear or two. Bird Fishing is actually a thing. Our Arab friend managed to fish a bird while kayaking in our lunch spot on a little inlet. to comfort your conscious, yes we released the poor bird, and no we didn’t manage to catch any fish. The final lesson is to buy a Triumph Bonneville T-100 or a Honda CB1100 as your first bike. I learned this while talking to two old timers down for bike week who were close to our camp site. In their 80s and still kickin’ with a smile on their faces. It was one of those encounters where you think to yourself, “one day, I hope to be you.” It was as interesting at the other two old timers I met on a train ride from Madrid to Paris (a story for another time). Below is but a glimpse at my last “Horah!” as a college student. p.s. Photography was taken by all members of the group, I really can’t take credit for all of it! 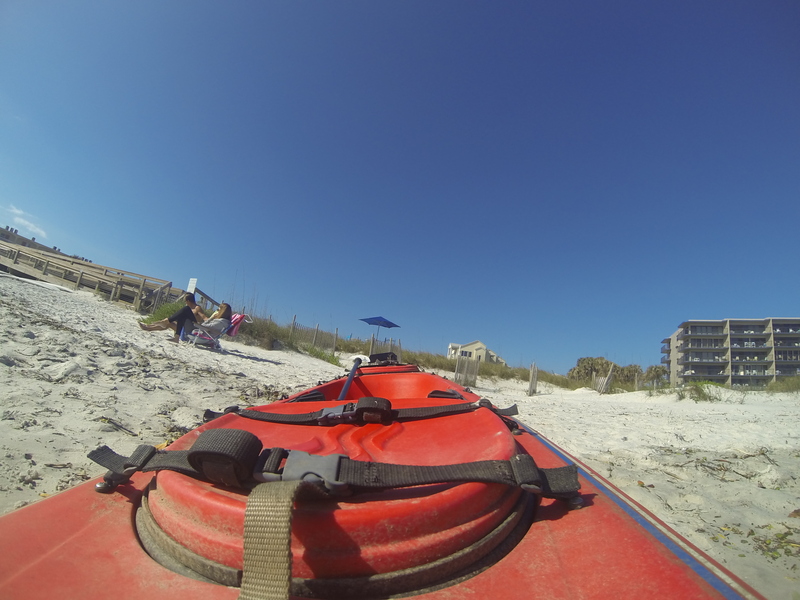 This entry was posted in Adventure, Beach, Camping, Travel and tagged adventure, beach, camping, Florida, kayak, kayaking, ocean, Travel, Waffle House. Bookmark the permalink.